Our team of fitters have many talents, they fit all kinds of printed products from wallpaper to flooring. If you're going to get a fabulous wallpaper print, you'll want it to look it's very best, and our fitters can do just that. Get a long lasting finish, that looks great. 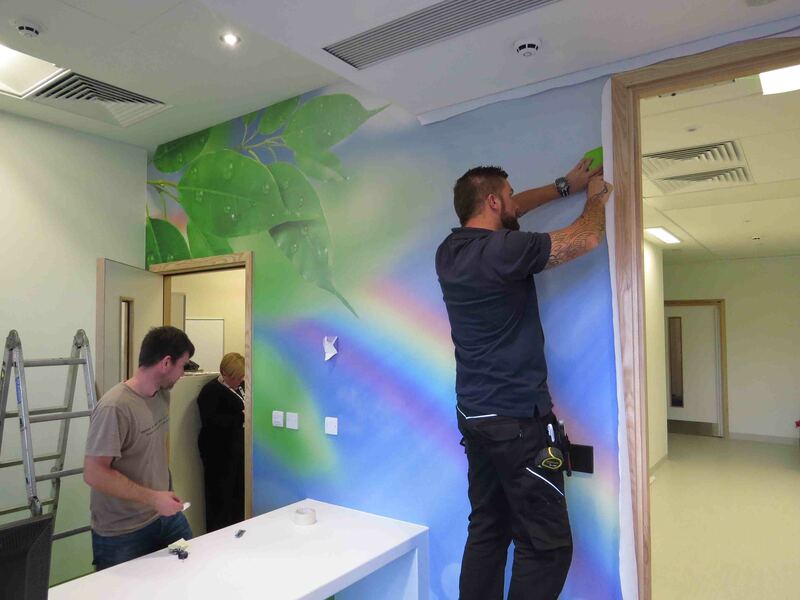 These wallpapers can be fitted to your business premises in a matter of minutes, no more measuring for wallpaper drops and no more peeling edges, these wallpapers look great almost anywhere. Our prints will give your place of business a professional finish which is as unique as your business. They are versatile and high quality, with a vibrant finish to impress your clients. 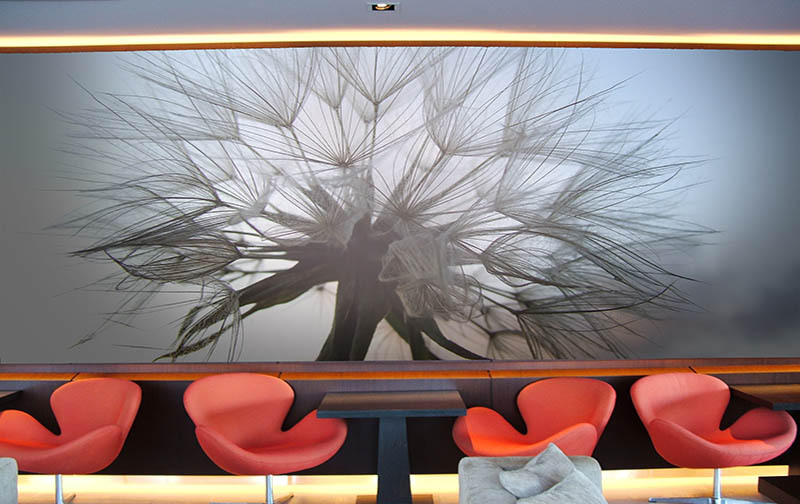 Our one piece wall coverings allow architects and designers to give that polished designer look that many professional companies are looking for, as well as an easily maintained work of art in any business premises. Our long lasting UV inks and strong, durable fabric based wall coverings will last for years and still look great! Our one piece wallpaper has a great WOW factor, so why not make it look the best it can with a professional service that takes the hassle out of any refurbishment. We can transform any space with minimal mess and hassle this fantastic digital product is designed to meet your individual needs and communicate with clients and customers to get your brand message across and sell your services. Why not get in touch and see if we can transform your business!